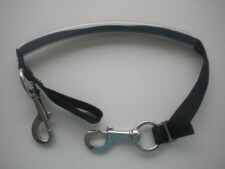 Has two (2) adjustable 1 1/4" bolt snaps in stainless steel on the webbing holder! Comes with X-large 1 1/4" stainless steel swivel bolt snaps that are marine grade quality. Add our hose clamp material to protect your cylinders finish at a Piranha Savings!